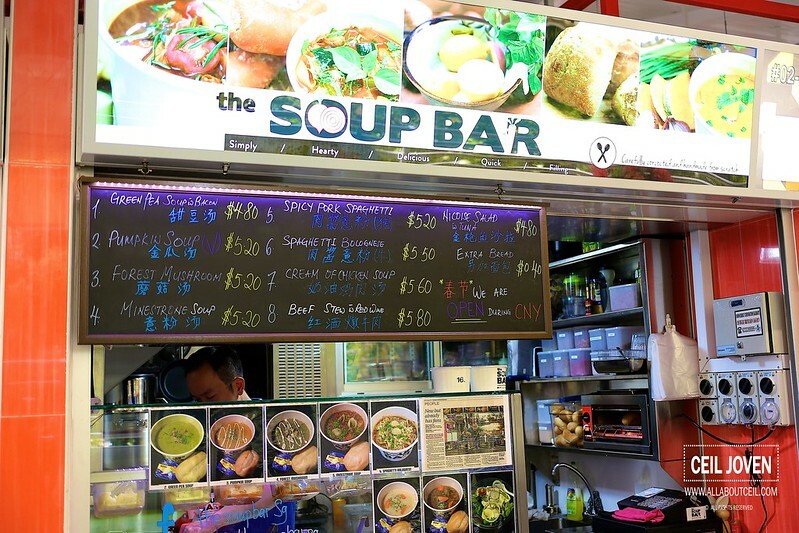 This is the first time that i came along such a stall in a hawker centre. I came across this stall online and came purposely today just to try it. I was there close to 11 am. The hawker centre was rather quiet at that time with no queue right at this stall at all. I decided to go with Minestrone soup. 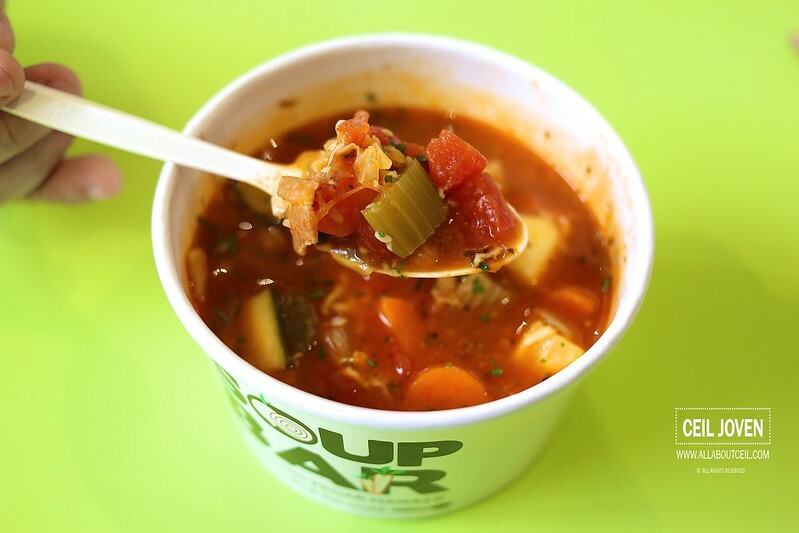 I love anything that is tomato based and this made Minestrone to be my favourite choice whenever i am making an order for soup. I given my order and waited there. 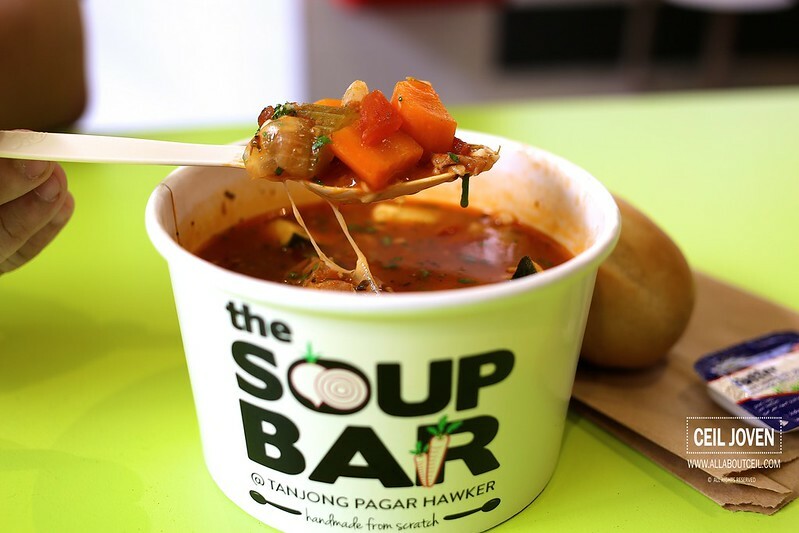 Minestrone Soup served with a bun reasonably priced at $5.20 as compared to The Soup Spoon. The stall owner asked me to take a seat and offered to send it when it's ready. He sent it in a couple of minutes on a tray. I guess he knew i was looking for the soup. He said it's in the brown paper bag together with the bread. 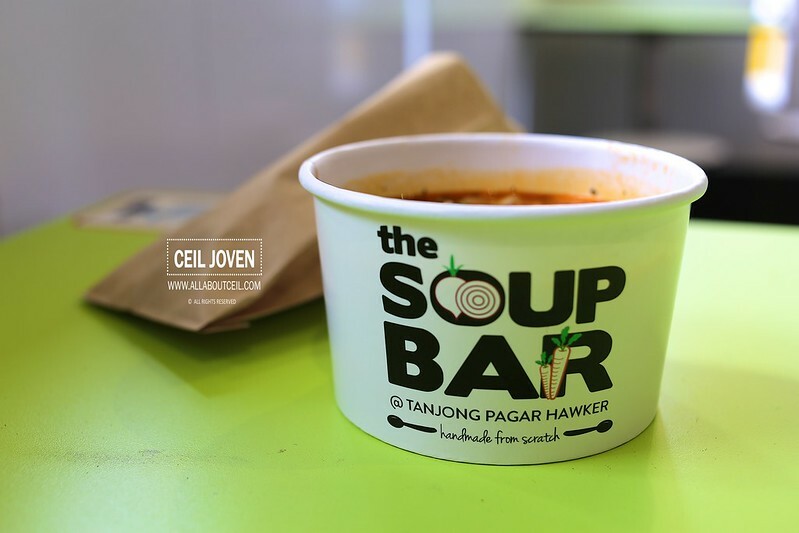 A good portion of Minestrone was served in a paper bowl with the stall name nicely printed. I simply adored the bright orangey color of the soup. When i took the bun from the brown paper bag, it was still warm. The portion of soup was substantial for a quick lunch. It was packed with different ingredients like bits of carrot, cucumber, onion, tomato and pasta. 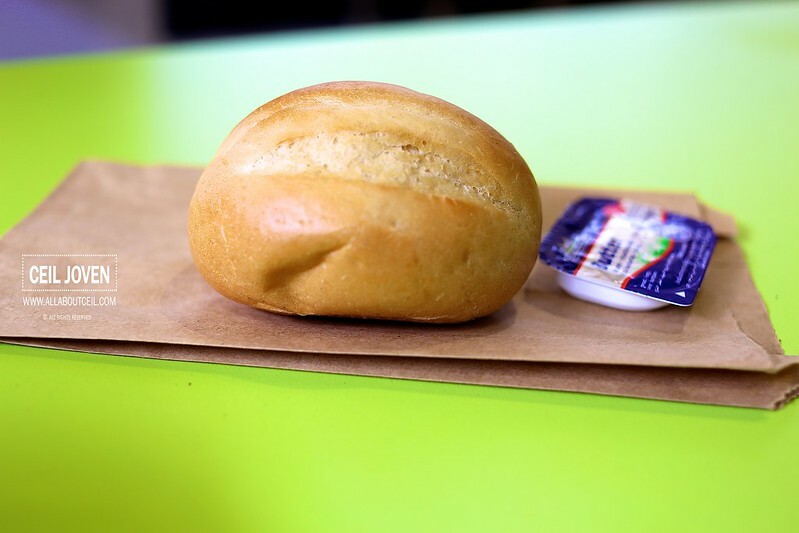 A piece of butter was given together with the bun. A fork with a piece of those wooden ice cream stick wrapped in the piece of tissue paper. 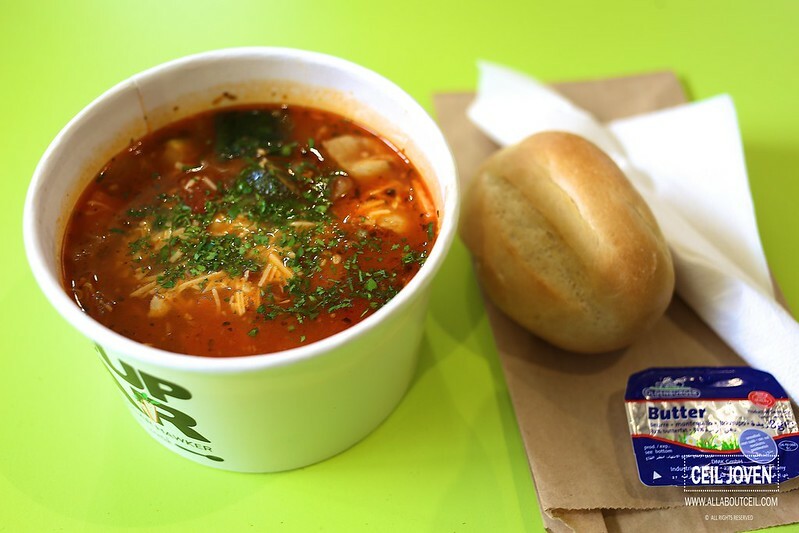 The best way to enjoy is to tear a small piece of the bun and to dip it into the soup then eat it. I enjoyed my early lunch totally. 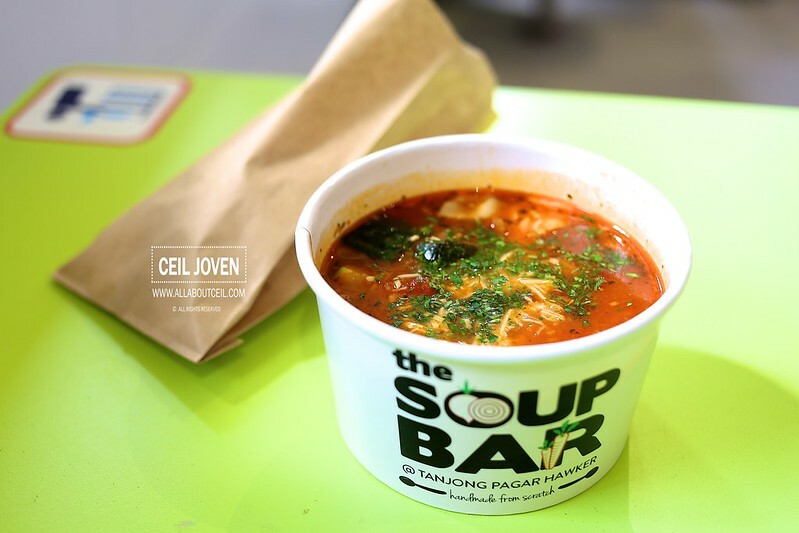 It is definitely a hearty yet healthy alternative as compared to the usual rice and noodle. Chatted a little with the owner. 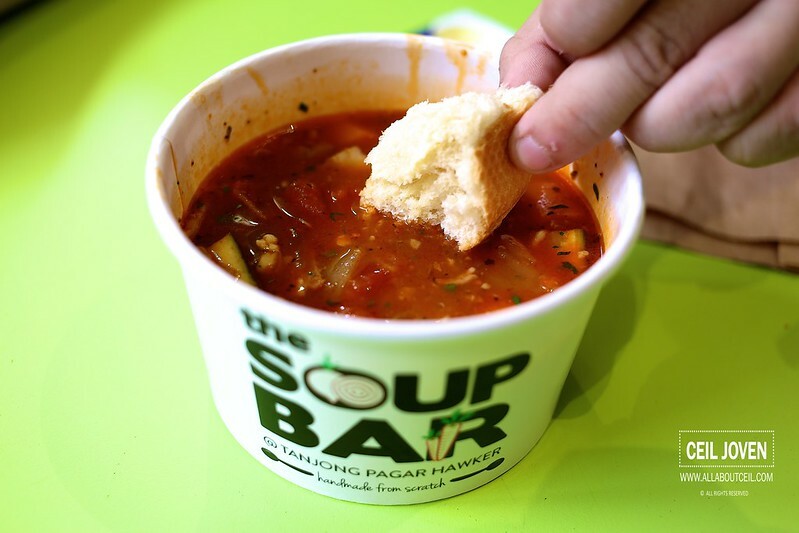 I was told the Minestrone and others on the menu are freshly prepared daily with fresh ingredients to ensure the best quality of these items. This is going to be my choice for lunch or even dinner if i happen to be in the vicinity. 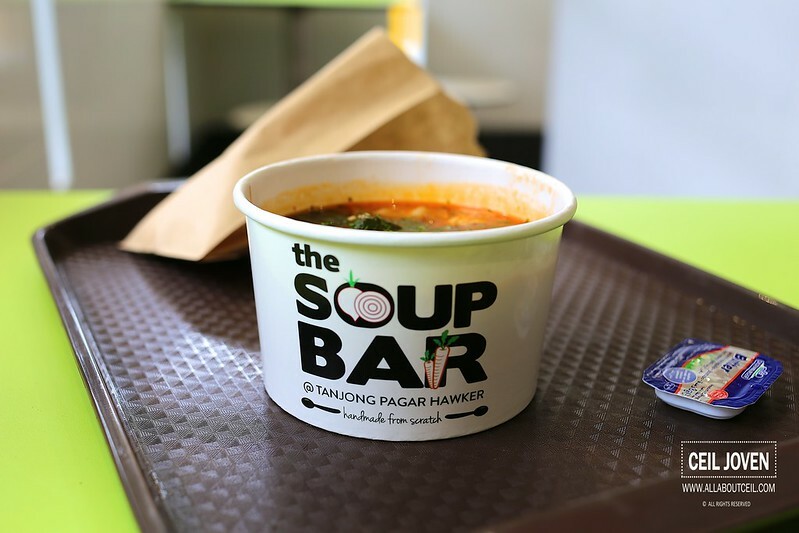 Some of the items available on their menu are Green Pea Soup with Bacon ($4.80), Pumpkin Soup ($5.20), Forest Mushroom ($5.20), Spicy Pork Spaghetti ($5.20), Spaghetti Bolognese ($5.20), Cream of Onion Soup ($5.60), Beef Stew ($5.80) etc. 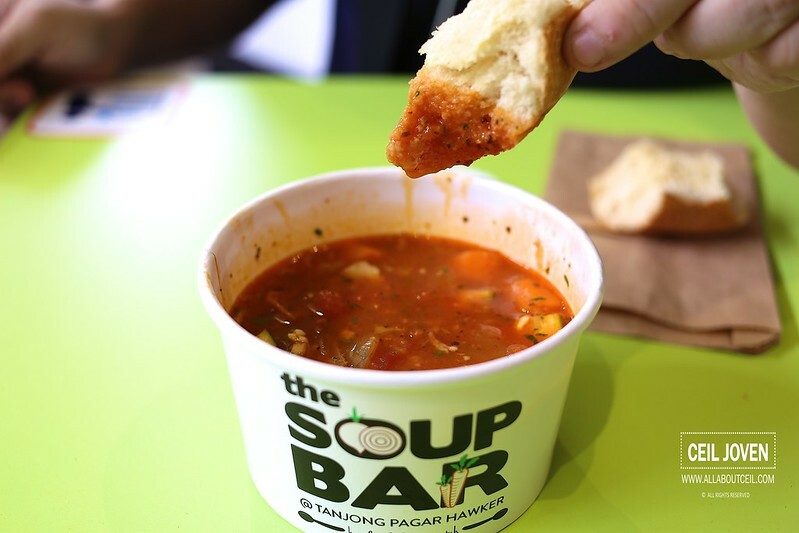 If you need an extra bun to go with your soup, it is available at 0.40 cents for a piece. If you are wondering where to eat during the Chinese New Year period then you might be delighted to know that they are open during that period.